Looking for the best place to stay in Nelspruit? You’ve just found it. Conveniently situated near major routes to Mozambique, the greater Lowveld area, shopping centres, and the busy CBD, Nelspruit Lodge is the ideal, affordable yet luxurious place to stay for anyone visiting the city. Weekends adventurers, business professionals and holiday guests can enjoy our comfortable accommodation, our friendly service and our quiet, tranquil atmosphere. We offer 24 hour CCTV surveillance and security service, secure parking and access control. A 24 hour high speed WI-FI, fax and copying service is available for all our guests from our 24 hour reception. Ice, laundry and taxi service can be arranged and our rooms are serviced on a daily basis. As one of the fastest growing cities in South Africa, Nelspruit, recently renamed Mbombela, offers guests plenty of reasons to visit. Not only is it a real business hub these days, but it is also a top tourist destination. It is the capital city of Mpumalanga and with the Mozambican and the Swaziland border a short drive away, each month many people move across the borders of the respective countries and head to Nelspruit to do business. Mbombela is the official name of Nelspruit, although the majority of its citizens still refer to the town as Nelspruit. It was founded in 1895 by the Nel brothers who would visit the area during the winter months to graze their cattle. At the time, Barberton, a nearby historical town, was actually far bigger than Nelspruit. In fact, Nelspruit was a tiny place which many would use as a stop off to resupply their wagons. Although it was only a settlement, the importance of the town became evident during the building of the Eastern Railway. This was built towards the end of the 19th century by the Netherlands-South African Railway Company and became critical for the transportation of gold from the Witwatersrand to Delagoa Bay (today known as Maputo). And when gold was discovered in the Pilgrim’s Rest and Barberton regions and pioneers rushed to the northeastern part of South Africa to find their fortune, Nelspruit started to develop quickly. There was a lot of debate over the town’s name. In 2009, the South African Government started the process of trying to rename the town. Their initial efforts were halted by the Lowveld Chamber of Business and Tourism as they were not consulted prior to the process beginning and they felt a name change would have an effect on business, what with the huge expenses that every company in the town would be faced with. Considering how many business cards, adverts, etc. would need to be changed, you can see that most businesses would be financially affected in one way or another. But in May 2014, the North Gauteng High Court approved the name change and the town was re-christened Mbombela. This has not stopped the majority of people from still referring to the town as Nelspruit. Old habits die hard, and although the name has changed, not much else has. Business continues to boom and the population of the town is swelling as more people seek the new opportunities that a growing city has to offer. We’ve mentioned already that the town is steadily growing. And a lot of the growth is thanks to the position of the town. Nelspruit is situated on what is known as the Maputo Corridor, which is a major trade route running from Maputo in Mozambique all the way to Johannesburg. The Maputo Corridor joins the Trans-Kalahari Corridor trade route and together they link the entire sub-continent, with a joined route that leads from Maputo to Walvis Bay in Namibia. It is this trade route that has encouraged the growth of both big and small businesses all over the town. Now is a good time to mention that Mbombela has 18 “suburbs”; some are considered primarily residential while others are purely for business. These days, some of the best business areas include Riverside, Nelspruit Central (which is the primary business district) and parts of West Acres, where small businesses have sprouted up, alongside massive shopping complexes. As a remnant of Apartheid, many of the suburbs have unique cultures of their own. This means that there are some suburbs where you can buy products which you would not find in another suburb. Nelspruit has a vibrant and eclectic mixture of culture. And this really only adds to the variety of businesses you will come across while visiting here. It also means that if you are visiting Nelspruit purely for business purposes, you are certainly going to find what you are looking for. As the gateway to Mpumalanga, Nelspruit, as well as the surrounding areas, offers so many things to do. Just a short drive in any direction, and concrete buildings quickly give way to stunning natural bushveld. If you are in town for a short business visit, you have to get a taste of the nightlife. Nelspruit has a growing foodie industry where you can find just about any meal you fancy. Head to Kombu for some of the best sushi and fish in town, or try out The Jock if you are in the mood for something hearty and delicious. Friday and Saturday nights can be wild out there, but during the week, most restaurants have a relaxed vibe. With friendly staff and meals to die for, you can easily forget that you are here for business. Should you be visiting the area on holiday, you will have more time to go exploring! Mbombela has the usual shopping malls, but spending your time indoors will be a waste when you could be experiencing the nature that is so close to every citizen’s heart. When you plan your holiday to Mbombela at just the right time of the year, you can experience any one of the amazing cultural events that take place. Some of the festivals include the now very popular Innibos Arts and Culture festival as well as the Lowveld Agri Show and the Nelspruit Motor Show. Innibos is a real crowd pleaser and it attracts people from all over the country. The festival generally takes place at the end of June, and if you book your accommodation at Nelspruit Lodge you can literally walk to the festival. While in Mbombela, you are quite literally on the doorstep of this world famous park. It is only a short drive to many of the park’s gates and you can easily spend the whole day here, driving around slowly and enjoying the animals. If you’d prefer to not drive yourself, you can ask our staff for the contact details of a reputable safari company or you can go online and pick one you prefer. This experience is a really affordable one and no one ever regrets visiting the Kruger. Although the chimps are not natural to Mpumalanga, a special habitat has been created for them just on the outskirts of Nelspruit. You can visit the sanctuary for chimps in need of rehabilitation and spend time learning about the chimps while getting up close to them. If hiking is something you want to do, this is one of the best places to hike in Nelspruit. Most locals, however, choose to hike elsewhere, such as up in the mountains and forests of Kaapsehoop which is about 30 minutes from Nelspruit. While we’re on the topic of Kaapsehoop, this is a nearby town that you should make time to visit. The town is small and filled with eccentricity, and the moment you start walking up towards the escarpment, the quiet that descends is quite unlike anything else. Up in the mountain air, you hear no traffic, no loud music, you’ll hardly hear nearby hikers talking. If you are in need of solitude, this is a great place to find it. The Lowveld is filled with a rich history. And you can delve right into it when you visit Nelspruit. Nelspruit is the central point from which most travellers will tour the historic towns in the area. Some places that should be on your list include Barberton, Sabie, Graskop and Pilgrim’s Rest. Each town has something to offer. Sabie, Graskop and Pilgrim’s Rest are home to craft beer, waterfalls and stunning hiking trails, as well as old bookshops and the most amazing pancakes you will ever have. And the best thing is that you only need a day or so to explore each town. Looking for places to stay in Nelspruit? Choose Our Nelspruit Accommodation! Of course, a town as bustling as Nelspruit boasts some of the best accommodation facilities. There is something to cater to everyone. From homely, private guest houses, to comfortable lodges and even artistic retreats, you are guaranteed to find the Nelspruit accommodation you want. 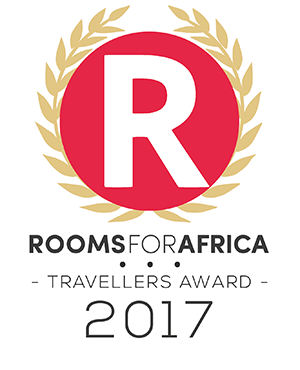 You might think that we are completely biased in saying that we have the best accommodation in Nelspruit, but it’s true. Our comfortable rooms are fit for a king and will make your stay in Nelspruit both relaxing and completely unforgettable. We offer affordable accommodation at Nelspruit Lodge and each of our rooms is designed to provide you with everything you could possibly need. The rooms that we currently have available include the Standard Rooms, the Executive Rooms, The 3 Sleeper Rooms, the Presidential Self Catering room and the Family Room. Depending on the nature of your stay in Nelspruit, Nelspruit Lodge can provide you with comfortable, affordable lodgings as well as access to all of our facilities. To make our Nelspruit accommodation as pleasant as we can, we have dining facilities on the property to serve you delectable breakfasts as well as wholesome morning meals. You can choose from our set menu, and then sit back and relax while you wait for our chefs to whip up a storm! Along with superb dining options, we also have 24 hour reception to assist you at any time of the day or night, free high speed Wi-Fi, tea and coffee in all of the rooms as well as in reception, a swimming pool, selected DSTV in each room, air conditioning, safe and secure parking, top security, as well as fax and copying services. We also have laundry and taxi services available on request. Why compromise on your Nelspruit accommodation when you can book a room at Nelspruit Lodge? Our affordable accommodation in Nelspruit (Mbombela) has everything you need. Contact us today to make a booking! A very pleasant overnight stop at Nelspruit Lodge on our way through to Kruger. Very comfortable accommodation, conveniently located and very good value for money. Safe and secure parking. Exactly what was required to meet our needs.